Help Agent P defeat Dr. Doofenshmirtz. The fate of the entire World (Showcase) depends on it! 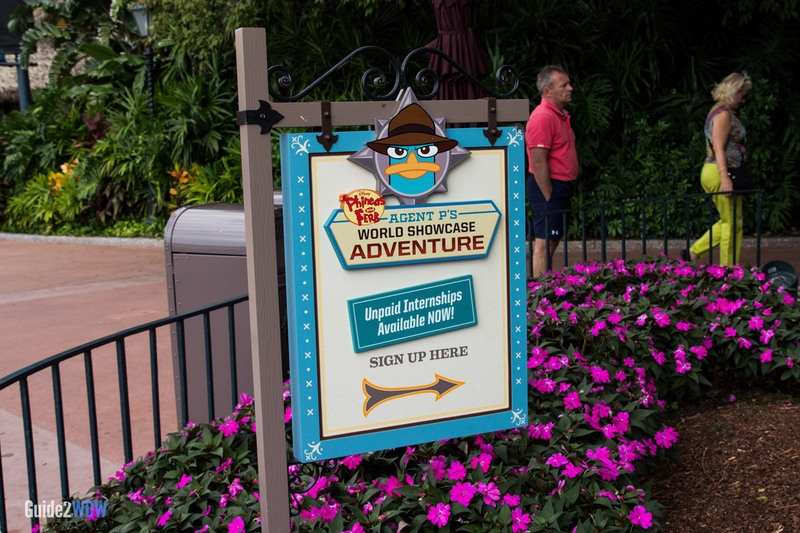 Located throughout the World Showcase at Epcot, Agent P’s World Showcase Adventure recruits Walt Disney World guests to be special agents/unpaid interns who help Agent P accomplish missions and defeat the evil Dr. Doofenshmirtz. Those names will be familiar to fans of the popular Disney Channel show Phineas and Ferb. Never seen the show? All you need to know is that you’re helping a secret-agent fedora-wearing platypus thwart the plans of an evil mastermind. And they say there are no original ideas anymore! To get started, visit one of the recruiting kiosks. There is one located in Future World on the Odyssey Bridge on your way to the World Showcase, one near the International Gateway by the UK, one at Norway, and one at Italy. Here, you will receive your mission location, as well as Field Operative Notification Equipment, or F.O.N.E. 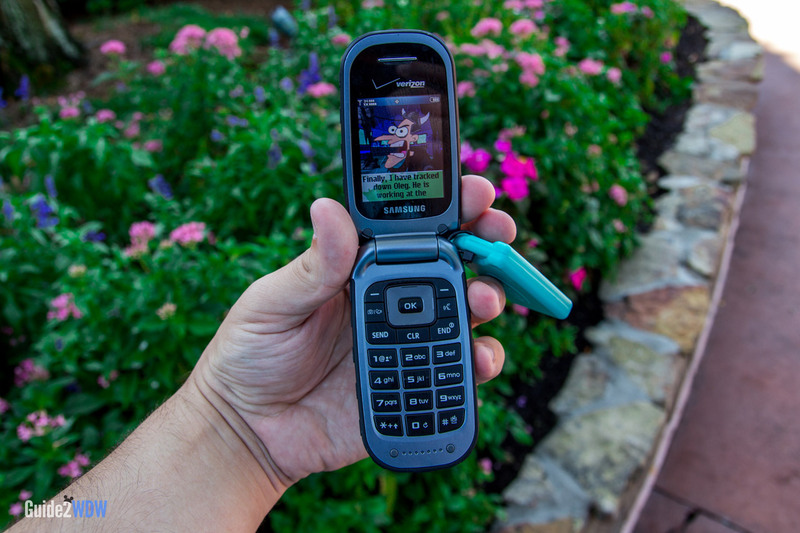 While this flip phone has a retro feel in this day and age, it will be your key to success in Agent P’s World Showcase Adventure, as scenes displayed on the screen will give you your clue. Tasks within the mission require you to go to specific locations or find certain objects within the pavilion. These tasks can range from very straightforward to somewhat tricky, but guests of all ages will have a fun time participating. Successfully accomplishing a task will usually correspond with a special effect that happens in the environment, like Doofenshmirtz coming out of the Coo-Coo Clock in Germany or a Troll’s face raising to reveal a Robo-troll in Norway. These effects are very neat, and make trying Agent P’s World Showcase Adventure worth it. While Agent P’s World Showcase Adventure will be best appreciated by fans of Phineas and Ferb, that is definitely not a requirement to enjoy this attraction. I first played this without seeing any episodes of Phineas and Ferb, and I enjoyed my mission thoroughly. The writing is sharp, and while I’m sure there are some references only fans of the series would get, the experience remained enjoyable. This attraction is a fantastic way to experience the World Showcase in a new way. If you are traveling with kids, or you just want to mix things up as you tour the countries, definitely check out this attraction. Try to get your mission ticket as soon as you get into Epcot. While missions don’t start until the World Showcase opens at 11AM, you can get your ticket as soon as Future World opens (which is usually at 9AM). Missions go until 8PM. Each country has its own mission with unique special effects. If you enjoy your first mission, you can keep playing at a different country. Each mission takes about 30 minutes, but could take more, depending on your pace. There are recruitment kiosks located throughout Epcot. Look out for this sign! Not-so-state of the art technology, but fun nonetheless. 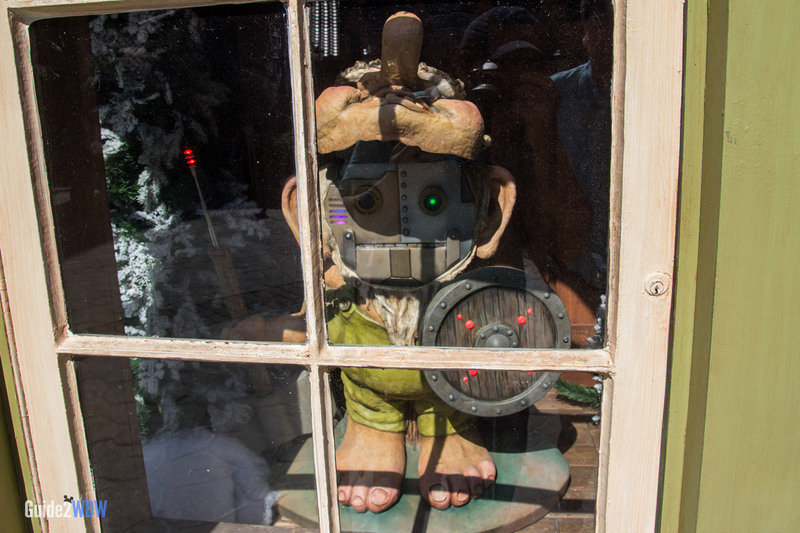 Robo-troll! The special effects in Agent P’s World Showcase Adventure are fantastic.